To support your compliance and traceability needs, Anton Paar offers more than 40 instrument-specific qualification packages as well as qualified installation support. With this qualification service your new instrument is ready for routine operation within 1 to 3 working days, reducing the work required by your in-house personnel. These packages include much more than the standard IQ/OQ and are prepared individually for every customer. They include all required documents for complying with relevant regulations such as USP 1058, EU GMP Annex 15, GAMP 5, GMP, and 21 CFR Part 11. Don’t worry - be compliant. The whole installation, qualification and user training procedure is performed by our trained and certified representatives. Pharma-compliant software features like user management, comprehensive audit trail and electronic signature in combination with our Pharma Qualification Packages facilitate compliance and traceability, reducing the work required to integrate the new device into your system. Our instruments comply with the pharmacopoeia methods stated in US Pharmacopeia (USP) and European Pharmacopoeia (Ph.Eur.) and other national regulations to ensure easy method validation. Your instrument is qualified and ready for use within 1 to 3 days with personalized qualification documents. You only need to integrate the Anton Paar documents into your internal qualification documentation system. The SOP is included as a word file to form a basis for your internal SOP. So your internal work required by your in-house personnel is reduced to ensure an efficient qualification process and a fast use of the instrument to save money. Comprehensive end user training on the instrument is included in the qualification process. The users are trained on the standard measuring procedure and cleaning routine. Furthermore, the administrator is instructed into the relevant security features such as audit trail, electronic signature, user management and all other instrument features. Anton Paar’s maintenance, repair and requalification service guarantees the highest measurement and data quality over your instrument’s lifespan and ensures that the instrument is qualified if you need it at another location or if any other changes happen to your instrument. For pharmaceutical and biotechnological companies, and ambitious cosmetics and food companies that are in need of 21 CFR Part 11 compliance. The risk-based documentation covers the complete instrument-specific pharma qualification procedure according to the USP 1058 4Q model and EU GMP Annex 15. The PQP package includes DQ, IQ, OQ, PQ, a risk analysis, a deviation list, a traceability matrix, chapter reports for every qualification step and a unique 21 CFR Part 11 Check List for all the software requirements stated in the 21 CFR Part 11. A Standard Operating Procedure (SOP) is added as a word file and can be used as the basis for your internal instrument SOP. For customers who have to follow GAMP 5 and GMP but who do not have to be compliant with 21 CFR Part 11. The cost-efficient PQP-S contains DQ, IQ, OQ, PQ, FQ, and additionally a risk analysis and an SOP as a word file. An instrument qualification is not a one-time event. Anton Paar offers periodic requalification as well as requalifications due to other reasons (change of instrument location, software update, and others). This means your device is compliant throughout its working life. Depending on the reason for the requalification (e.g. yearly requalification, change of location, software update, etc.) a customized document is created based on the initial Anton Paar qualification (PQP/PQP-S). This document can also be completed on-site by our certified qualification team. What is the content of the documentation? To support your compliance and traceability needs, Anton Paar offers more than 40 instrument-specific qualification packages. They include much more than the standard IQ/OQ and are prepared individually for every instrument and customer including all required documents for complying with relevant regulations like USP 1058, GAMP 5, GMP, EU GMP Annex 15 and 21 CFR Part 11. More than 1000 instruments and instrument combinations have been successfully qualified with our Pharma Qualification Packages. They have subsequently passed numerous audits. Deviation list, traceability matrix (PQP), final qualification report which summarizes the whole qualification process and final conclusion. 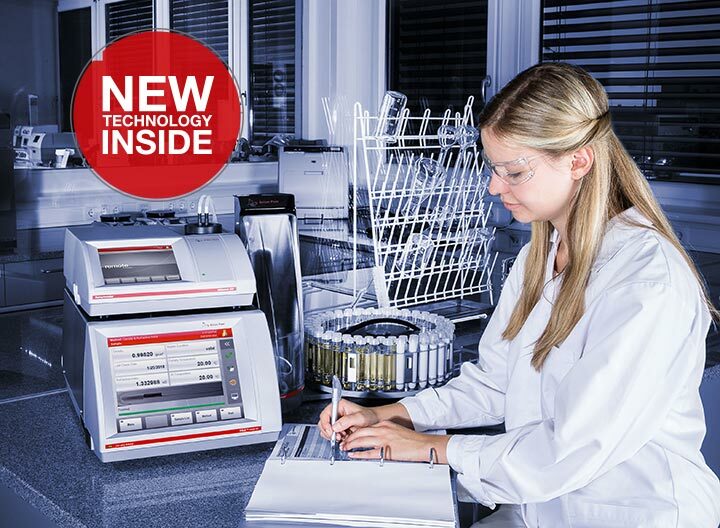 Which Anton Paar instruments can be qualified?